Handcrafted female doll made from straw, wheat and burlap. Her skirt and face are formed from heavy burlap fabric. 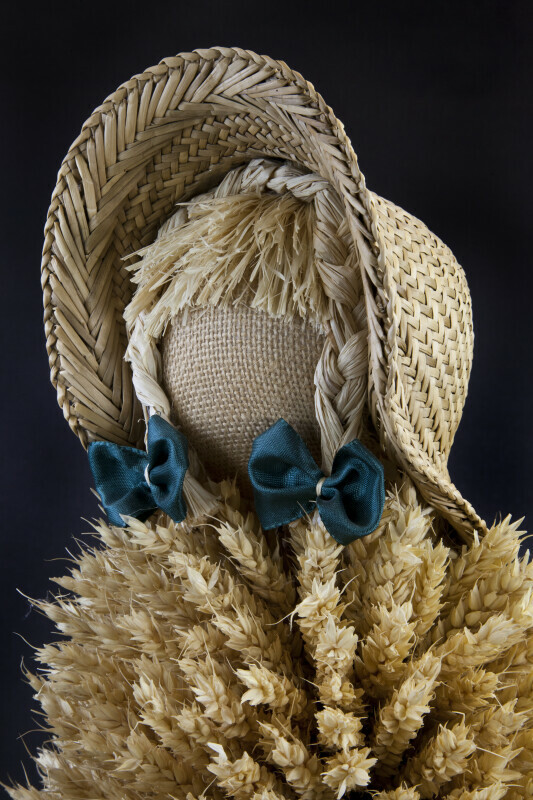 Her bodice is a wheat sheaf, and her hair and arms are made from stalks of straw. She is wearing a woven straw hat, and has a large ribbon around her waist. The figure stands 23 inches (58 cm) tall.